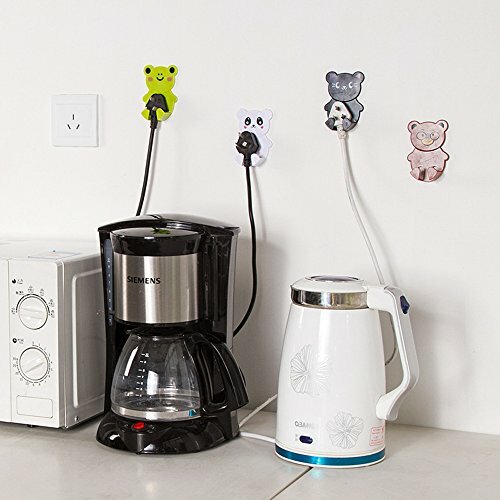 Provide ingenious and easy way to store your power plug. Can hold common plugs with two or three plug pins. With sticker on its back for easy mounting to any dry flat surface. Great item for your home appliance. Color: Brown, White, Black, Green,we will send at random!!! 1.Don't recommended for friable and valuable items. Such as the clock , camera , glasses , jewel-etc. 2.please kindly to clean the surface of the place where you want to stick on. Multi-function holders, can hold bath ball, towel ,key and so on. If you have any questions about this product by Dealglad, contact us by completing and submitting the form below. If you are looking for a specif part number, please include it with your message.